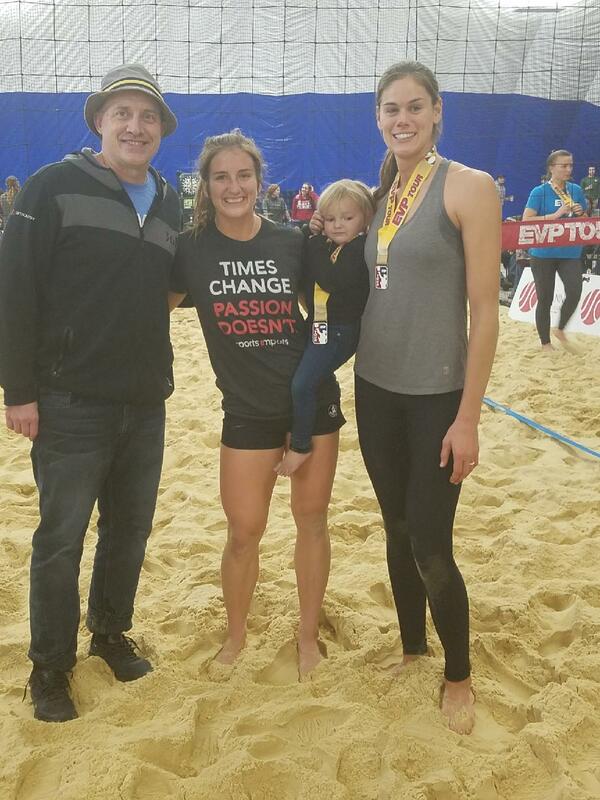 Matt Olson and Kara Hill are excited to announce a solution for finding a beach volleyball partner! It’s the biggest problem on the sand, and as a club director we are certain it’s difficult for you to manage. Discover this revolutionary app for beach volleyball! 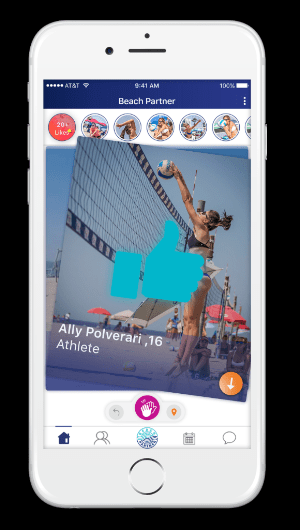 Finding your next beach volleyball partner is as easy as swiping right with Beach Partner. Does a visit to the beach conjure up magical memories you had as a child? Toes in the sand, building sand castles, the sound of the crashing waves and sunshine on your cheeks? With Beach Partner, you can still have that magic when you play on the sand. 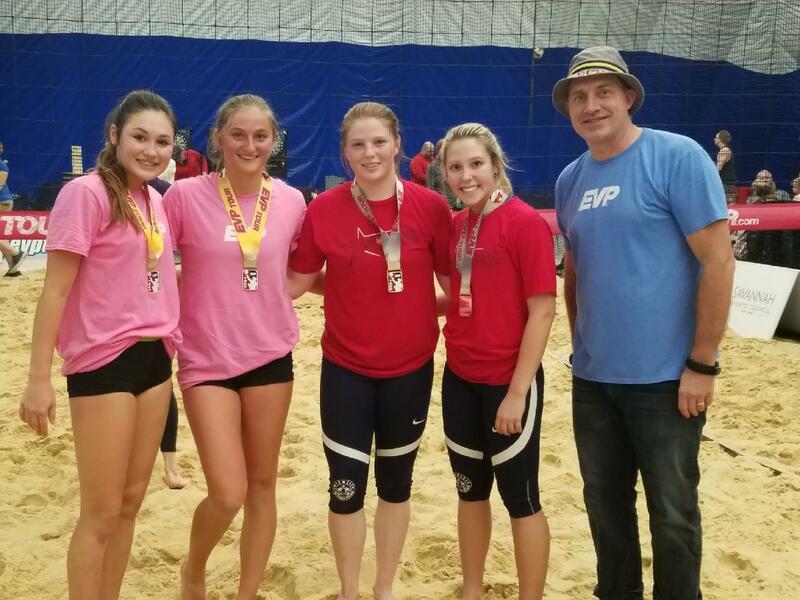 Beach Partner is an online destination helping bring players of all ages together to turn their sand volleyball dreams into a reality. Beach Partner. . .coming soon to Apple and Android stores! Complete the pre-registration form on their website to gain early access to the app. The first 100 registrants will win Beach Partner swag! Click here. 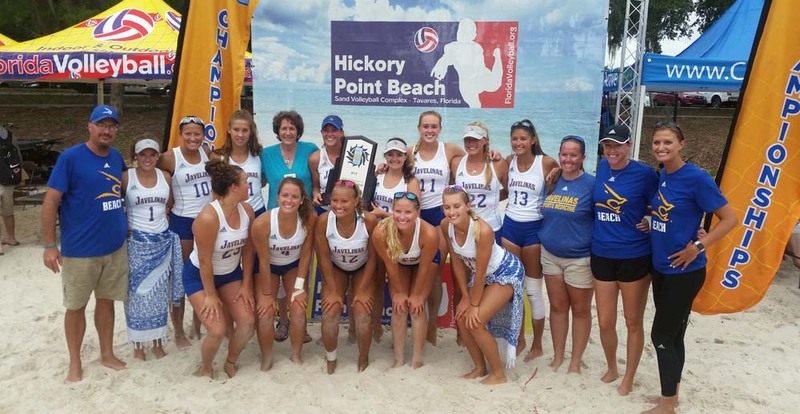 TAVARES, Fla. – Under beautiful 8o-degree skies in Central Florida, Texas A&M-Kingsville and Webber International won AVCA Small College Beach Volleyball titles over the weekend. Outside of a short weather delay on Day 1, the conditions were near-perfect for college teams from the Division II, III, NAIA and Junior College ranks competing for two titles. 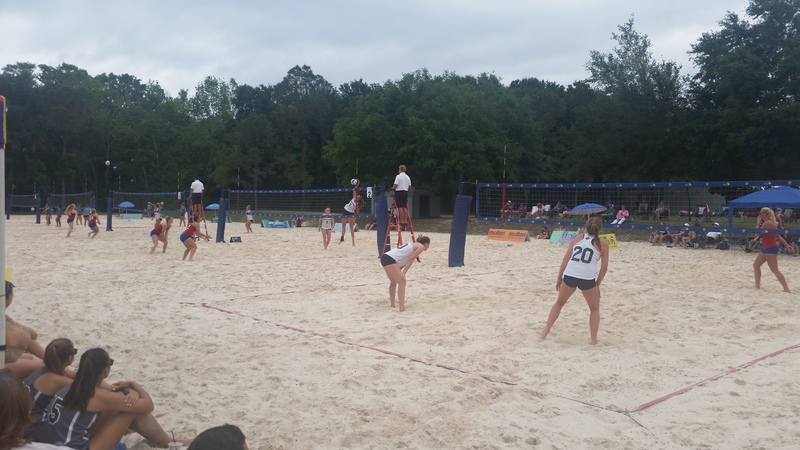 Eckerd College, an early favorite, cruised to the finals, but Texas A&M-Kingsville came into the event riding a four-match losing streak only to run off four straight wins to capture the Division II title. The top tournament pair from Eckerd — Paula Hoffman and Kaitlyn Sibson – won their match to finish unbeaten for the tournament, but Texas-A&M-Kingsville won the other four to cruise to the victory. The Fiesta Division title was a different story. Webber International defeated Stevenson University 4-1, but three of the matches could have gone either way. 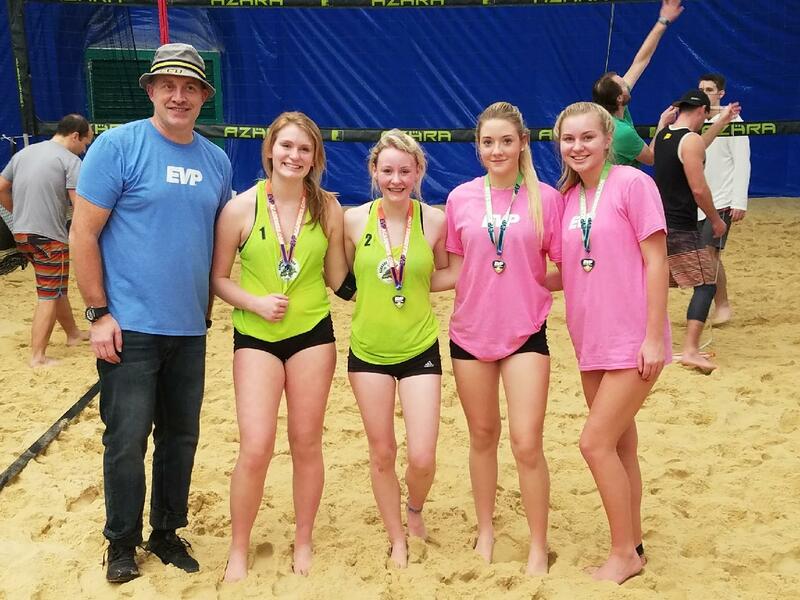 Two matches went to three sets and the top pairs played in a tightly-contested 21-19, 21-19 match. Hoffman and Sibson from Eckerd College won all four matches on the weekend with relative ease. The pair ended the year with a 22-match winning streak. 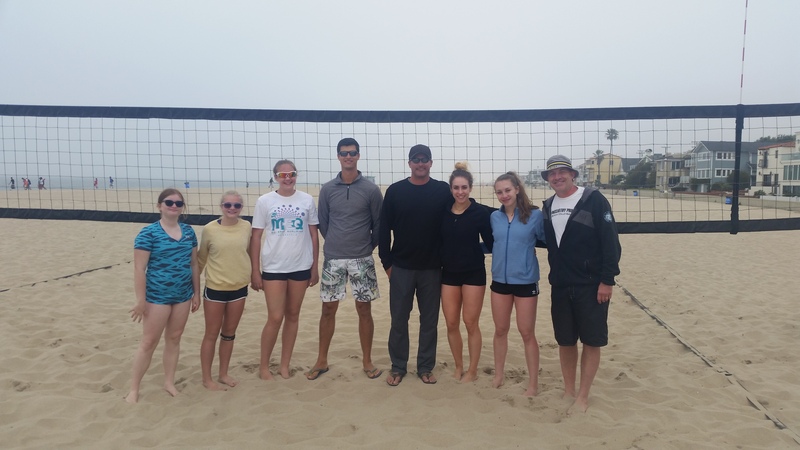 From the beach volleyball mecca of Hermosa Beach AVP Pro Emily Stockman and AVP Academy Director Scott Davenport go over the basic and some of the nuances to attacking and armswing in beach volleyball. From the big picture perspective, the biggest point to make is we must learn and coach about the things that need to happen for the shot for the ball to do what you want, not the reasons or mistakes you made that caused the ball or shot to not occur. Click here to view the video of Scott and Emily discussing attacking on the beach. Armswing Mechanics: In this video, we cover the swing from a motor learning perspective and ques players can use to create a consistent armswing. Contact Points: What are the contact points and the corresponding results from those contact points are mentioned. Finish Points: Scott discusses the 3 finish points and what is the outcome of each point. Adjustments when the perfect swing does not occur: More times not on the beach the perfect swing does not happen, Scott covered the type of adjustments players can make during the swing to create the attack shot. Differences between left side and right side hitting: Scott goes over the major points of difference that will allow athletes to create a more consistent swing from each side of the court. 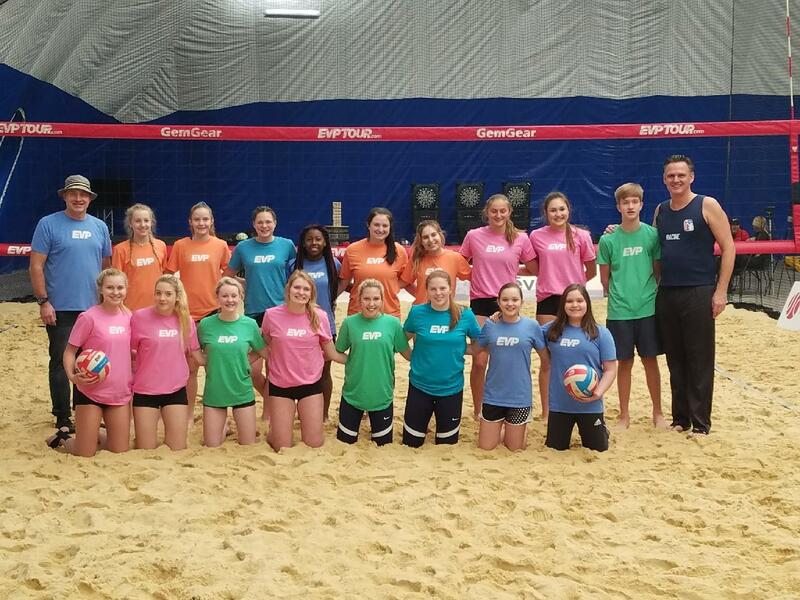 Ben Shamrokh traveled to Duluth to talk with Fox21 Duluth about his career in beach volleyball and the upcoming AVPFirst and AVPNext event over Memorial Day weekend at Skyline Lanes. Click here for for the entire interview. For more details on AVPNext Duluth, click here. For additional information on AVPFirst or the Junior event on Saturday, click here. A big trend in today’s beach world is management of players or combining the physical traits with a large amount of charted data from new computer applications and from this understanding, a partnership is born. The science says a successful beach partnership will form 80% of the time when reliant on statistics, apps and technology. Well, what happens when the other 20% actually happens, which begs the question… how can a successful beach pairing or best team occur that includes the charted data, the physical attributes of the players, but is not limited only by this information? Players who are willing to pay the price together and do the same work as the other, create a bond and buy in from one another that is deeper than the stats. It becomes more than just a partnership, but a mutual respect, appreciation and trust… a team. 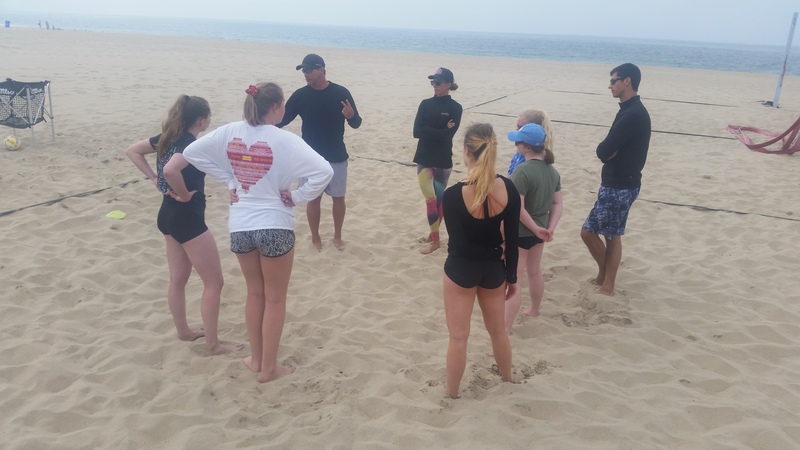 There can be two strategies when it comes to beach partner selection based on skills. One of them is to find a partner that balances out the other’s weaknesses, for example, putting a taller blocker with a shorter defender. The other strategy is finding a partner with similar skills. Sometimes when partner’s are very similar in skill they will each have the same expectations. When a shot comes over the net, a fast defender will expect a partner to be able to get the ball that he/she could play as well. A great hitter would expect to see a partner hit a smart shot when given a good set. Sometimes it can be frustrating to have a partner that does not match your skill set. It is also difficult to be disappointed with a partner that misses a play that you wouldn’t have gotten either. While we have only covered a few of the components, in a very brief manner, of partner selection for best teams, the process is somewhere in between the concepts mentioned and the many others we could add. But in the end as the quote mentioned, the best TEAM wins with the best players The best players do not win without equal hard work, a balance of skills, great chemistry and a coach’s intuition. Reposted from JVA Online, see here. A great weekend with everyone, Divisions included: Open Juniors, Open Pros for men and women. Here are a couple images from the weekend at Wagner Lanes Sports Complexx in Eau Claire.